Sadly, there is a defect in the giving of most Christians. In the average church only 20 percent of members give a tenth of their income and 50 percent give nothing. If you’re considering starting a church capital campaign, these are alarming statistics. Obviously, in order to be successful in our church capital fundraising efforts, we need to diagnose the cause and prescribe a cure for poor giving. Why don’t Christians give more generously? The Bible and research indicate that the primary reason is that they lack pastoral leadership. The pastor is the chief steward of the congregation. Congregations that are above the national average in their giving have one of several things in common. One of the most important of these is strong pastoral leadership. In congregations with effective stewardship, the pastors give leadership to the stewardship ministry…. The pastor is the key to effective stewardship and ministry. If stewardship becomes a way of life in the congregation, the pastor will lead the way. First, their pastor hasn’t taught them the biblical principles of stewardship. Many pastors freely admit their distaste for talking about money and many, as a result of their discomfort, avoid the subject altogether in their preaching. This common reticence on the part of pastors reflects a failure to fully grasp their God-given responsibilities regarding teaching the whole counsel of God, which includes many texts on financial stewardship. The Bible makes it clear that spiritual leaders need to teach their people biblical principles of stewardship. For example, in Deuteronomy 8:11-18 Moses fulfilled this responsibility by warning the people of Israel that when they prosper in the promised land they must not think that they had made themselves rich, but to remember that God had given them power to make wealth. Jesus allotted sixteen verses in his Sermon on the Mount to teaching about money (Matthew 6:19-34). The apostle Paul devoted the entire eighth and ninth chapters of Second Corinthians to stewardship teaching and, in First Timothy 6:3-19, he told Pastor Timothy what to teach his people concerning the right attitude toward riches. In light of these examples, pastoral Bible teaching on giving must be a central part of any preaching calendar and of any church capital campaign. Second, many Christians don’t give because their pastor has not challenged them to give according to the biblical principles of stewardship. Along with teaching their people the biblical principles of giving, pastors must also challenge people to give. Research has shown that people usually don’t give as they should unless they are asked to give. A careful study of Scripture reveals that one of the key responsibilities of a spiritual leader is to ask his people to give. It also demonstrates that when he does so, God’s people respond obediently. Examples abound in the Old Testament. When Moses challenged the people to give for the construction of the tabernacle, they brought so much more than was needed that he had to command them to stop giving (Exod. 35:4-9, 20-24; 36:4-7)! In leading the people to give to the building of the temple, King David told how much he had personally donated to the task and then pointedly asked his people, “Who then is willing to consecrate himself this day to the Lord” (1 Chron. 29:5). As a result, David’s people gave willingly (1 Chron. 29:6-9). When King Joash commanded the people to bring the temple levy as fixed by Moses, all the leaders and people responded by giving joyfully and obediently (2 Chron. 24:8-10). When King Hezekiah commanded the people to bring the tithes as commanded in the Law, the people responded by giving so abundantly that the tithes piled up in heaps (2 Chron. 31:3-10). In Nehemiah 13:10-12 we read that Nehemiah commanded the people to bring the tithes to the temple storehouses for the Levites and singers with the result that all Judah obeyed. When the prophet Haggai rebuked the people for neglecting the temple to build their own houses and commanded them to rebuild the temple, the leaders and all the people obeyed (Hag. 1:1-15). “People like to give and usually will respond favorably when asked. Contrary to the popular myth, most members are not offended when money is requested”. Therefore, “Christian leaders should not hesitate to ask for help when there is a need, both for others and for themselves”. This is great news for pastors hoping for increased offerings. They can have confidence that when they teach their people to give, and ask them to make a sacrificial financial commitment, their people will respond generously. Why don’t Christians give? Because they haven’t been taught and challenged by their pastor. 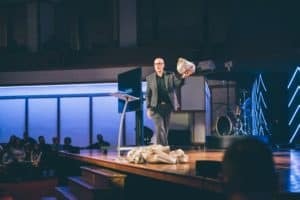 What can Pastors do about it? They can begin to lovingly teach biblical principles of financial stewardship and ask people to give. The result will be increased giving and a successful church capital campaign. Chambers, Mary, Church Is Stranger Than Fiction, Downers Grove, IL: InterVarsity Press, 1990, no page number. Grimm, Eugene, Generous People, Nashville, TN: Abingdon Press, 1992, p. 40. Grimm, Eugene, Generous People, Nashville, TN: Abingdon Press, 1992, p. 125. Getz, Gene, A Biblical Theology of Material Possessions, Chicago, IL: Moody Press, 1990, p. 397. 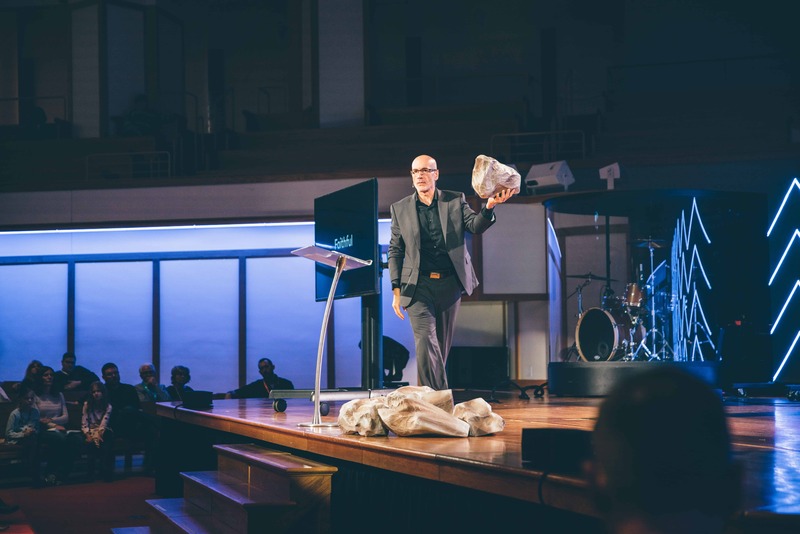 Share the post "Why Christians Don’t Give–And What Pastors Can Do about It"